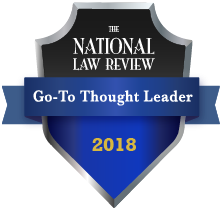 Jaffe is pleased to announce that it ranked in The National Law Journal's annual "Best of Legal Times" survey. The legal marketing and PR agency ranked third place for "Law Firm Website Design Services." The ranking tallies votes from members of the Washington, DC legal community to identify the top companies that provide services to law firms and others in the legal industry. Terry M. Isner, CEO and leader of Jaffe's Marketing & Branding Division, recently published an article in the National Law Review about rethinking the law firm work environment. The article is titled "Tear Down the Walls: Restructuring Your Law Firm Environment."